Do you ever want to make time fly? 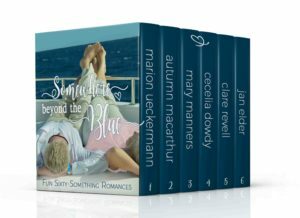 Become a blogger…for Inspy Romance. It feels like yesterday I last blogged, and here I am again, scratching my head over what to write about. Goodness, a month flies between blogs! Anyway, I’m writing this post almost a week before my blog is due because tomorrow morning (22nd), hubby and I are flying to Cape Town for a week to visit my son and his wife. The two hour flight definitely beats the seventeen hours plus it takes in a car to get to our Mother City at the southernmost tip of Africa. Sigh…winelands, ocean, white beaches, Table Mountain… Guess you can tell I’m ready for this short break in this incredible city. Because I’m away for a week and I’ve no idea what the internet set up at my son’s rented place is, I thought it best to get my blog done before I leave. Who knows, I may just find something else interesting to blog about while I’m relaxing in the winelands of the Western Cape, and if that happens, I might just rewrite this blog. If I don’t, and you’re still reading this particular blog today (27th), then know that I most likely didn’t get the time to do another blog and/or I decided to roll all those wonderful thoughts and experiences over to another blog. After all, this beautiful part of our country inspired this great story so I’ve no doubt there’ll be many things to share with you. I’d intended giving you all the first scene from my upcoming release, A Time to Push Daisies, which is scheduled to release on September 12th in the Somewhere Beyond the Blue box set. However, the I-don’t-know-what-to-blog-about turned out too long to still add an excerpt. And speaking about my Black Blog with its #giveaway…I haven’t forgotten. Soon as the set is ready to release, I will draw and publish a winner. Plus, I’ll draw another winner from this blog. So two readers (one from last month, one from this blog) will stand a chance of winning an e-Copy of Somewhere Beyond the Blue as soon as it releases. CALEB BLUME shuffled outside onto the wooden deck of his posh Camps Bay apartment feeling three decades older than his sixty-two years. Raising the glass of sparkling water clutched in his hand, he toasted the African sun, slowly inching its way toward the watery horizon of the Atlantic. The summer solstice having passed merely days before, the golden ball wouldn’t set for a few more hours. He sank into the comfort of the reclining patio chair, made of weather-resistant rattan and topped with ivory-colored cushions. From his lofty home, Caleb narrowed his gaze to stare at the azure ocean below, frothy waves lapping the white beach. Would this be his last Christmas on this earth? Or would he live to see another? Not if a suitable donor heart didn’t soon become available, that much was certain considering his declining health. “Janine…” Caleb barely had enough volume to call his nurse. Thankfully the forty-something woman’s ears were tuned to his every call. She hurried through the wide opening, the frameless sliding-folding doors that gave security and shelter during the night pushed open wide, merging his home with his garden deck. When Joshua had phoned earlier, Caleb had still been asleep. He’d put off phoning back, knowing Joshua would be at church with his family, after which his brother and his wife, Viola, would be frantically busy cooking their traditional Christmas fare for the family. He would have loved to be spending this particular Christmas with his brother and nieces, seeing as it could be his last, but traveling for him was out of the question for quite a while. By now though, his English family’s Christmas dinner should be finished, as should washing the dishes and cleaning up—what with seven daughters there to help. After first making sure that Caleb was comfortably reclined, Janine hurried back inside, soon reappearing with Caleb’s phone. She dialed the number then handed the device over. “No. Who’s expecting?” An ache formed in his chest. While life was flourishing for the Blume’s in England, he was dying a slow death on the other side of the world. Alone. He envied Joshua having a legacy to leave behind. Caleb on the other hand would leave nothing. No wife or children to mourn his passing. He would have loved to have a son, a wife. Perhaps he should’ve sought someone to share his life decades ago. Too late now—for children and for love. No doubt, Joshua didn’t only mean the actual organ. He’d been preaching to Caleb about getting his heart right with God for years. Maybe if he had listened, the one that beat so sluggishly in his chest wouldn’t be dying a slow death. “Mr. Blume. Are you sitting down?” If Dr. Le Crouse, his cardiologist, was excited about something, he didn’t show it, his voice as monotone as always. And for sure, the use of his surname was merely for effect. His doctor had called him by his first name from the moment Caleb had insisted, and only used his last name when he wanted to make a point. “I–I can get there.” This was one of the reasons he had 24/7 care. Janine also drove him where he needed to go. Caleb paused for a moment after cutting the call. He bowed his head, first in thanks to God for answering his prayer so swiftly, and then out of respect for the one who had lost their life. Did they have a husband, a wife, children, whose Christmases would never be the same again? For them, the sun had set. For him, it was about to rise. Hi Marion, enjoy your time with your family- your country sounds amazing:) I have several friends and colleagues who are South African and it sounds like a beautiful place, one day we will have to get over to visit. Thanks for sharing about A Time to Push Daisies- love the connection with the Blume family. Thanks so much. This is an amazing part of our country and we are loving our time here. I am so looking forward to reading this book! I have seen your photos of your vacation, so I know you are having an amazing time!! Hi Marion! Enjoyed seeing your picture with the breath taking views of vineyards and interesting tourist attractions. Glad to see you had an enjoyable time with family. Looking forward to reading your soon to be released Blume story. Will the boxed set be available for preorder? Enjoy your week. Best wishes. Thanks, Renate. We’re testing different release approaches and have decided not to go on pre-order with this set. God willing, we will release the set on September 12th. Have had a wonderful time in Cape Town. Sorry tomorrow is our last day. Thanks, Kim. Hope you get to read it. This sounds interesting, Marion. We don’t often see books with older couples as the lead characters. Good for you! Have fun . Enjoyed reading the excerpt, very interesting. The getaway has been great. Can’t believe tomorrow is our last day here. I really like the setting and the older characters… I’d definitely like to get my hands on this! Thanks, Dalyn. Hope you get to read them. Beautiful excerpt Marion! Everything I’ve read from this book has been sooooo good! Can’t wait to read the netire story, and the rest of the set! Thanks, Autumn. I have loved working on this book. Hope you had a lovely time on your getaway. 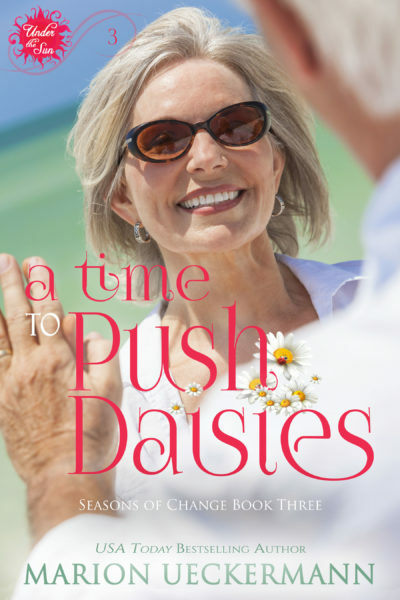 I really love that you have an older couple in your e book A Time To Push Daisies. I am in my 60’s so really appreciate a book that have characters my age. Looking forward to reading the rest of the novella. What a wonderful excerpt! I want more. Thank you so much I seen your Vacation Pictures and they were Awesome I know you enjoyed your time with your family! Thank you all for the awesome giveaway for The back to school bash! Great excerpt, Marion. I want to know what happens next. I loved the blog post and I can”t wait to read the book and collection. Have fun on your getaway. Thanks, Linda. Not long now. Wow, that looks soooo good! Thanks for the tease! Hi Marion! I hope you are having a great time with your family! Your book sounds great, can’t wait to read it! Having an awesome time, thanks, Laura. Not too long to wait. I really enjoyed the excerpt, Marion. I hope you’re having a great time visiting your family. Thank you, Jessica. So glad you enjoyed the short read. 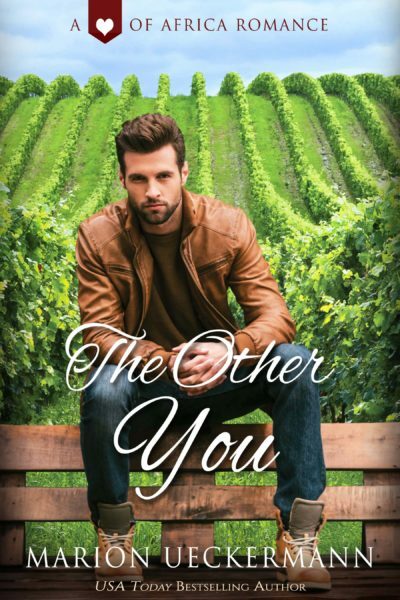 The Other You looks like a great read. I can’t wait to check it out! Readers have loved The Other You, Chanel. Hope you get to read it. Too relaxing, Arletta. No work done but lots of “research”. Back to the writing cave tomorrow. Sounds like a great trip, and good reading! Great trip, Susanne. Bitterweet to be returning home today. Thank you so much for sharing. I’ve been looking forward to the boxed set. Thanks, Priscila. Not too much longer to wait.